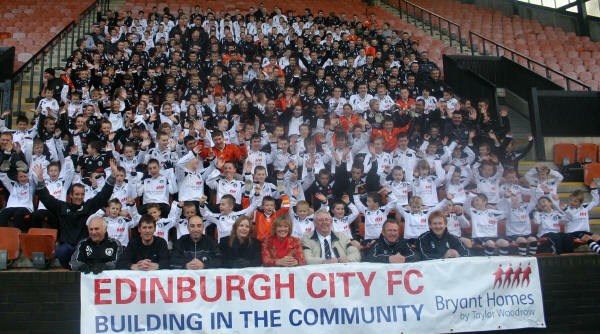 Irene Lithgow (Regional Marketing Director Bryant Homes), Dave Brand (Secretary & Vice Chairman Edinburgh City YFC), Jim Brown (Chairman of the youth club) and Iain Donaldson (Webmaster), supported by the mass ranks of kids wearing the new outfits. AN initiative aimed at getting more Scots youngsters back to participating in sports has seen a £50,000 multi-use games area (MUGA) opened at Roslin. 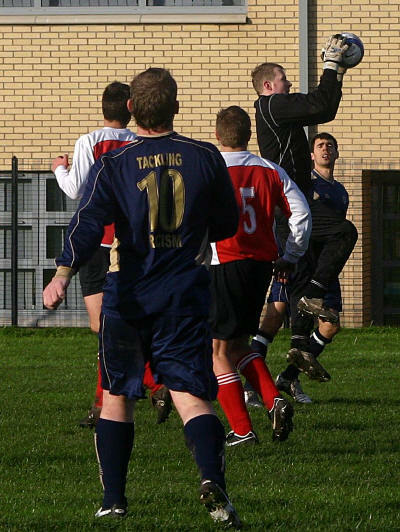 The facility, one of 40 to be installed throughout the country in the coming months, was the initiative of the two Roslin Councillors taking advantage of a Scottish Football Association and UEFA backed project which aims to work with local authorities across the country to deliver new football pitches. > Situated next to Roslin Primary School, the new MUGA allows local youngsters the opportunity to play small-sided football, and other games, in a safe and secure environment. It also offers the chance to play unsupervised at any time, with no fee to pay or booking restrictions. Local councillors, Keith McIntosh and Russell Imrie worked with the local community and with the Council's Sport and Leisure staff to bring about this development and jointly invested £40,00 in the MUGA through their local environmental improvement contributions. Councillor Imrie said: "Roslin does not have a great deal in the way of facilities for young people and Keith and I were determined that they should not lose out on the sort of multi-use games court developments happening in other areas of Midlothian." 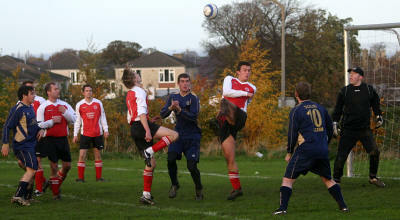 Councillor McIntosh added: "Locating this pitch within the school grounds provides the school with a valuable sports facility and hopefully will make a real contribution to the health and well-being of Roslin young people." 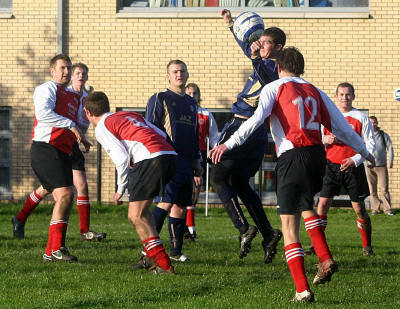 Councillor Bob Jenkins, Cabinet Member for Leisure, Recreation and Sport added: "This MUGA investment is part of our overall stategy to improve sporting facilities across Midlothian. 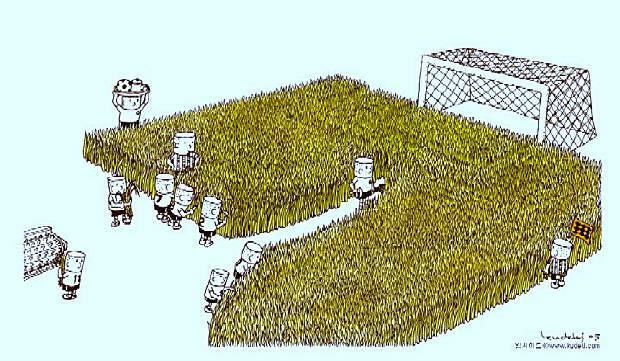 This includes new MUGAs and a programme of pitch upgrading and replacement. 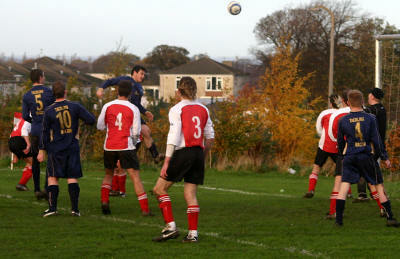 In addition, a further two full size synthetic pitches are due to be opened in Midlothian before March 2007. 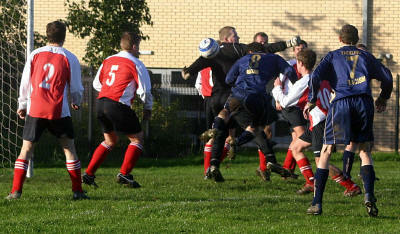 Michael Sharp, the SFA's South East Regional Manager believes the facilities will encourage more young people to start playing football saying: "The pitch provides children with a safe environment to play football in an informal way, similar to the way street football was played in the past before the increase in cars made it unsafe for children to play in the street." 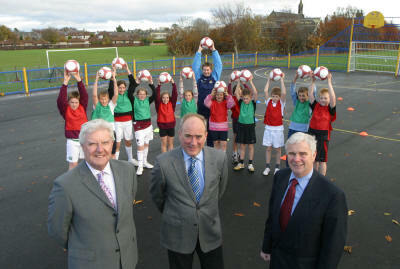 Photocaption (L to R): Cllr McIntosh, Alasdair Wellwood of MUGA manufacturer Russell Leisure Limited, and Cllr Imrie celebrate the facility opening with pupils from Roslin Primary School and Michael Sharp, SFA. 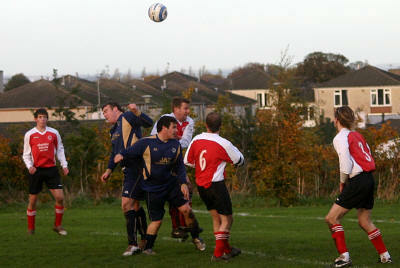 pics from the Sandy's v Tweeddale Rovers Anderson Cup tie in Craigmillar. 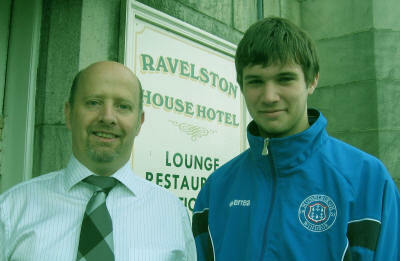 Musselburgh’s Man of the Match, Michael Fruish, with team sponsor Martin Ivinson, proprietor of the Ravelston House Hotel.